Commencing his career as a youth trainee at West Bromwich Albion, Foster became a full time professional at the Hawthorns in July 1989. 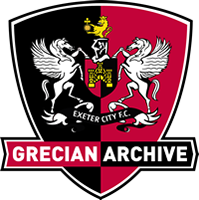 He went on to make 27 league appearances (14 of those as substitute) and scored two goals, the second of which was on the opening day of the 1991-92 season in a 6-3 win against Exeter City. 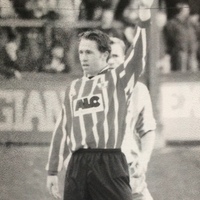 Foster was transferred to Torquay United in July 1992 and was a success at Plainmoor as he netted 24 goals in 65 league games. He was then transferred to Gillingham in September 1994 where he added another 9 league goals in 40 appearances. Signing for Exeter City on loan in March 1996, he made his debut against Plymouth Argyle at St James’ Park. He stayed until the end of that season, but didn’t hit the target for the Grecians. Foster joined Hereford United in August 1996 and scored 16 goals in 43 league outings. 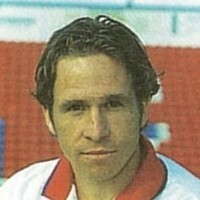 He then signed for Rushden & Diamonds in 1997 where he scored 25 goals in 56 appearances during his two season stay. After a spell with Yeovil Town, he joined Bath City for the 2001-02 season and scored 21 goals in just 42 appearances. Injury saw him sidelined for much of the following season and he had his contract paid off in February 2003 and eventually joined Western League side Frome Town. Foster was player-manager of Dorset side Gillingham Town in 2008-09. He also represented England at semi-professional level. In December 2013, he was appointed manager of Frome Town after leaving Gillngham.